In Ondo state, the governor has noted the heavy presence of Fulani Herdsmen. According to the governor, the state previously engaged the security agencies in controlling the activities of the herdsmen but pointed out that the recent attacks by Fulani Herdsmen cannot be condoled in the state. He explained that the state is ready to apply force against the herdsmen since force is the language they understand. Ondo State governor, Mr. Rotimi Akeredolu, declared that his administration will apply force to arrest the menace of Fulani herdsmen in the state. 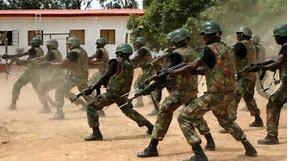 The governor made the declaration in Akure, on Sunday, during an event to commemorate the Armed Forces Remembrance Day. “We have been using security agencies to engage the herdsmen to carry out their business peacefully but when engagement fails, we will use force. We will confront the herdsmen with all we have," the governor said.